Immerse yourself in authentic agricultural and artistic traditions of Tuscany at Castello di Spannocchia, an 1100-acre organic agricultural estate in Siena. Engage with multiple levels of the food and art production processes by sourcing, making and using materials uniquely available on the Spannocchia estate and the surrounding area. Leave with an understanding of how the slow food movement supports the protection of biodiversity, historical territories and knowledge of traditional production. Learning experiences will include traditional studio activities with a sustainable and historical perspective including oil painting, drawing, and early photographic and printmaking processes. Oil painting on location will use natural oils and soaps rather than petroleum products. In addition, drawing will utilize handmade charcoal made from the farm’s grapevine cuttings, and sienna pigment will be found and processed directly from the local earth. Anthotypes made from foraged plants and homemade dyes will be made on-site. Pinhole photography will be introduced, using the architecture and rooms of the castello as the mechanics and inspiration. Agricultural activities will include weeding or harvesting in the gardens, gathering firewood or caring for livestock with Spannocchia staff and comparing this experience with small and largescale farming practices in Italy and the United States. A 2-day pre-departure webinar will be held to prepare students with related and introductory readings. You will visit museums, churches, small-scale producers such as farmers, fishers, butchers, shepherds, cheese makers, bakers and pastry chefs, and Slow Food Presidias which support the protection of biodiversity, territories, and knowledge of traditional productions. 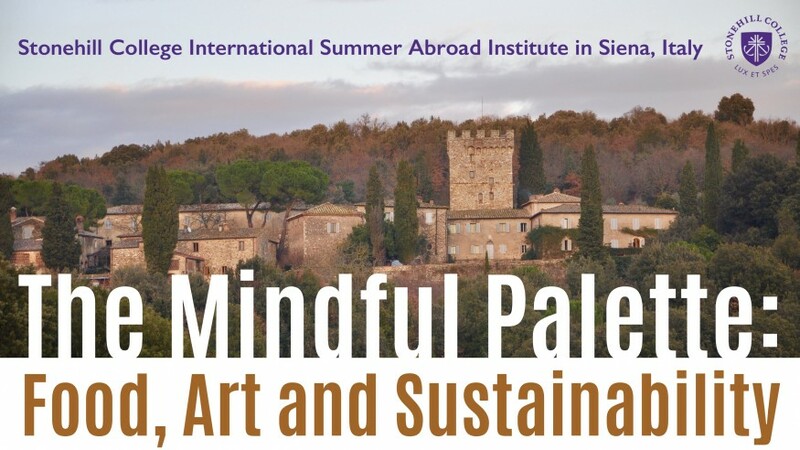 Activities may include wine-making and olive oil production, cheese-making, animal husbandry, organic gardening, permaculture design, paper and parchment making, and Tuscan culinary instruction. You will stay in beautiful renovated and historic farm houses with modern conveniences on the Spannocchia property Communal meals will be prepared in farm house kitchens or taken together at the main villa, including a wood-fired pizza night.